Vermont-based music collaborative 99 Neighbors has spent the last year developing into a household name in their home city of Burlington. From albums to live performances to promotion they’ve begun to turn heads far beyond the Green Mountain State, but it all started from the buzz they were able create locally. On July 27th they sold out a show at Arts Riot in Burlington. Twelve days later, Sam Paulino (also known as Sam.) dropped Collision, an impressive genre-blending EP featuring “Don’t Call Me”, which is easily one of the best songs to come out of New England in the past 12 months. In September, HANKNATIVE wrapped up the productive summer with a phenomenal debut project called Problem Child. On September 1st, they sold out Higher Ground with Boston’s own Golden Boy Music Group, consisting of rising stars Danny Diamonds and Chase Murphy. After rocking numerous shows together, the 99 crew has developed a strong relationship with the Golden Boy duo. The two collectives got together to headline at The Sinclair in Cambridge on November 20th. Diamonds and Murphy had quite a year themselves, and the energy in the building on that night was a good indication of the traction that these two groups of 19 to 22 year-olds have managed to gain. Television is 99 Neighbors first group project. It came out on New Year’s Day and it’s a full-length album with all 12 tracks produced by Somba. Sam and Hank handle the majority of the vocals with features from Chase Murphy as well as some lesser known but equally talented members of 99 Neighbors, including Burlington natives Aidan Ostby and Swank, as well as their newest addition PhiloSofie out of New York. 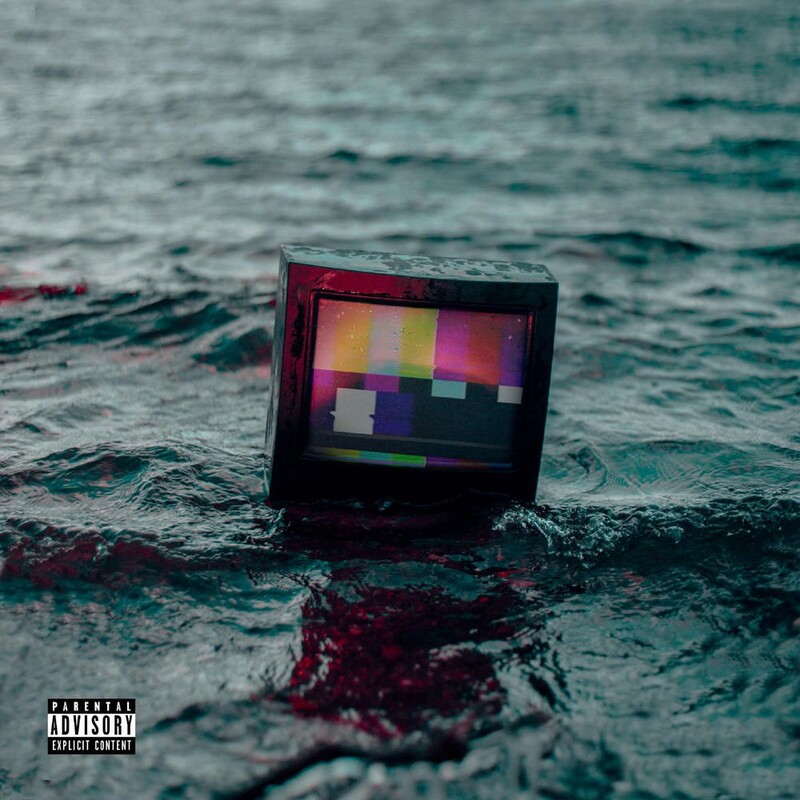 The beginning of the opening track “Champion” has some Kanye MBDTF vibes, followed by HANKNATIVE and Sam Paulino documenting the struggles and triumphs that have led them to this point of clarity in their lives. “Champion (Reprise)” showcases Sam Paulino’s vocal range that he teased us with on Collision. Then Aidan Ostby comes in and feeds your soul over a guitar. What a voice. “Fly” is our first introduction to PhiloSofie, the newest member of the team. Much like Aidan, her voice and melodies are next level. They compliment Sam and Hank’s bars perfectly. One listen to “Facts” will show you why it’s been one of the most well-received tracks on the album so far. 99’s newest addition is so good that she got her own song on the album. “Lock N Key” is strictly PhiloSofie perfectly executing a love ballad over Somba’s smooth production. “Work” is my personal favorite track on the album as of right now, although this is shaping up to be the type of album that gives you a new favorite song every week as you familiarize yourself with each cut. My love for this one isn’t only due to my personal bias towards one of Boston’s young phenoms Chase Murphy, who contributed a great verse. The beat from Somba is ridiculous and Sam Paulino’s hook plus the melodies in his verse are addictive. “Damage” starts with HANKNATIVE and Sam Paulino riding the beat and setting the stage for one more appearance from PhiloSofie and her captivating voice. “Bangarang” is a fun song. On an album that explores so many different sounds, it sits with “Mercy II” as one of the two all-out bangers that Somba cooked up. Sam and Hank’s flow/wordplay are off the charts as usual. “Coughing Up Smoke” is as eloquent as it is dark. Aidan Ostby, Sam Paulino, and HANKNATIVE bare their souls over the piano. Nowadays there are some songs you listen to for lyrical content, and some songs you just like to bump in the whip or at a party. Often these two styles are distinctively different, but “Mercy II” is both. The beat bangs, and Sam and Hank show off their most impressive flows on the whole album. After the aggression was felt on “Mercy II”, Sam Paulino and Aidan Ostby close out the album gracefully on “Crash”. Shades of Kanye West, Chance The Rapper, BROCKHAMPTON, Childish Gambino, Tyler The Creator, and pretty much every other innovative artist in recent memory who has managed to change the course of music by creating their own hip-hop subgenres. The influences are clear, but that doesn’t translate to a lack of originality. These guys have their own sound that will only continue to evolve over time. Television is a phenomenal body of work. If 99 Neighbors had the reach of a big industry player, it would undoubtedly make its way onto some 2019 “Album of the Year” lists in 11 months. In the meantime, they’ve set the bar for young independent artists who are looking to engineer a movement by pushing boundaries and exercising their creative freedom. You can catch 99 Neighbors at Higher Ground in Burlington, VT on Friday.